Jennifer Cluff: What's the deal with LONGTONES? What's the deal with LONGTONES? "When I was in my teens, my flute teacher had me work on LONGTONES, and they were horribly boring to me. All I did was hold each note 'for as long as possible' and my tone never improved. Even today, having taken the flute back up again, I wish for a fabulous tone, and when I play longtones, nothing changes; my tone still sounds like an amateur. How does one fix this?" The core of the "longtones" misunderstanding may in fact be the same problem that led Trevor Wye to write "Tone - vol. 1" from his Practise Books for the Flute series. To his shock he heard several quite advanced flute students playing "LONGtones" for 30 minutes at a time, but they were longtones that had horrible tone quality, and no musicality. The students sounded bored, earnest, and horrible. Wye thought they'd missed the entire point of Moyse's advice in "Sonorite" which is to only play with a gorgeous tone, and slowly move it from one note to the next as you proceed with the exercise. The very purpose of longtones is to hold a *beautiful* tone for a few seconds, and to build up your memory of how to always produce a *beautiful* tone. The memory will be partially through your "mouth-to-ear" co-ordination, and partially a physical, muscular memory of what steps you took to find that marvellous tone again. - to try and hold the note "as long as possible no matter what"
So in the "Vol 1 - Tone" book by Wye, he tries to explain that first you find a beautiful tone on a simple and easy note, playing from mezzo forte, and crescendo-ing, and then you deliberately spread that tone to the surrounding notes. You do this by locating the greatest sound quality you can make (on any given day--some days are greater than others...;>))and then lovingly descending a semitone to see if that great sound quality can be had for free in the neighbouring notes that surround your best tone note. Eleanor Lawrence alludes to this too in her DVD (which some were recommending this weekend), but not in any great detail, I find (I have the DVD). Lawrence assumes (as do those who've been taught that 'great tone' is the goal of the first note of the exercise) that the flute student understands this TONE-SONORITE concept already: That you first achieve one beautiful tone pitch, and then start moving through other notes on the flute. b) get your teacher's one-on-one advice about changes you might try in your breathing, posture, holding the flute etc. d) get your teacher's advice on changes you could experiment with your lips/embouchure/mouth position. Quite a few of these possible suggestions are listed on my tone help pages on my website. But of course, you can't learn the sound you need to hear from a book, only from a great tone that is being demonstrated to you by a live player. If your single tone on one note sounds the best it can sound, you're creating a physical memory of how to continue to play with great tone. Hard to explain in words, of course, but instantly understood in a good flute lesson with a teacher showing a bad tone, and a good tone, and then holding the good tone only, while proceding with the Sonorite exercises by Moyse, spreading the good sound from note to note. It's important to know , for advanced students that the 30+ page book called "Tone Vol. 1" by Trevor Wye, examines in detail only the first semitone exercise from Moyse's "De La Sonorite". Although somewhat expensive, owning the whole Moyse Sonorite book is a good investment as it has additional, more advanced exercises in dynamics, leaping large intervals, and phrasing. Playing in Colours by Ann Cherry. Thank you Jen, for this very detailed and useful description of longtone studies. Excellent! As I need not tell you, I think the problem with longtones is much more complex even if someone "mentally" understands the concept of Moyes "De La Sonorité" (maybe I understand now 10 percent of it, but that is better than nothing ;-) ). Of ycourse I can read Moyses detailed descriptions (in german of course, so no language problem for me) , but to understand his talking about jaw movement etc. is not really easy ... And then the tone: to play the most beautiful tone, you not only have to listen to your own tone, but you have to decide whether it is beautiful or not. And this is a big problem. It is not so easy to play a really awful sound with the flute (this is mch easier with a saxophone or a trumpet! ), many flute sounds are beautiful, even some of modern repertoire ... And if you think your tone is good ... maybe it is good but not "the best" ... So this basic exercise - finding the best B is not easy at all. If I play my "most beautiful flute tone", how should I recognize it and hold on it? The next question: should I only try to find a good sound of the note between end and start? The beginning of the note might be not that critical I think, because you try to get and then hold the good tone, but what is with the ending of the note? Just let the air go? Close the lips? Stop it with the tongue? Keith Underwoods "violin bow techniqe"? And - as nearly all amateurs sound very amateur like - and nearly all professional flute player have a somewhat good tone (whether you like it personally or not) - there could be a sort of "border" you have to step beyond? If you play your flute in whatever position, walking around or in the bed or sitting in a strange position, I am sure your "basic professional tone quality" is not affected (am I right? ); For me, if I hear someone playing flute, it is a simple "yes - no" decision whether it sounds "professional" or not and I need listen to only one phrase of playing. What makes this difference? Maybe it is not only tone but tuning, life long work etc. Once you have seen this documentary, you understand that beauty can only be measured after you have collected together all the samples of what all the people consider to be "beautiful" and then measure them to determine the ratio. Knowing this ratio means that you can measure beauty. Mind you,unless you with to receive plastic surgery, having a HAPPY face is the most attractive feature those who are not genetically "beautiful" can aspire to. So I suggest that we create happiness in our faces and in our sound in order to go forward. Now, take this premise and apply it to the sound of a flute. First, listen to a number of flute recordings (or live players) and determine what is beautiful about the best sounds you hear. Example: When I listen to Galway I hear: Purity of flute tone (no turbulence or excess airiness), lightness of sound (no heavy or contorted gestures), liquidity of air movement, homogenity between octaves, and a ringing quality like a fine bell. I can make my tone more like Galway's if I move my upper lip downward in the center by an extra milimeter. I can open the upper lip upwards more to obtain a more McGhee sound. But in both cases the core of the sound is free, clear and has a very pure center of the pitch. The upper lip is not buzzing like a trumpet, but feeling the vibrations lengthwise like an oboe reed. The air supply stops at the end just as you stop the air when you sing;"Ahhhhhhh....."
The beginning of the note after many rough starts, eventually becomes smooth, and the good tone begins (on the fifth or sixth try) almost at the exact instant the note starts. These are the things I hope to show in the video that I will make soon. Meanwhile I urge each flutist to listen closely and to imiate the sounds they hear when listening to their favourite flutists. If you can happily imitate the sounds you hear, a whole new world of beauty will open up before you. A question just came by email: Why do I compare flute tone to a beautiful face? 1: 'Beauty' equals 'healthy', whether we are talking about a face, a human voice, or the sound from a musical instrument. To be healthy a person must relax frequently and not try too hard. A beautful voice is calming, resonant,deep, moving,cheering, hopeful, flexible, and full of energy when needed to be. A great singer has this quality of voice. Seek to have this ratio of qualities in your flute sound. Listen to great musicians and singers to hear what the qualities are. 2. Beauty is natural for some people, and has to be learned by others (the orginal discovery about the ratio of the beautiful face was made by a plastic surgeon who wanted to go beyond just fixing birth defects, and instead make an "ugly" person much more beautiful than average.) The reason why some people have beautiful tone, and others don't can be learned if it is not yet natural. A ratio of beauty can be added gradually. Yes, some people hear and imitate good tone faster than others. But a happy disposition, a worry-free attitude can make up for many defects. Beauty can appear miraculously. 3. Beauty is in the eye (or ear) of the beholder. If you cannot have beauty of tone immediately, you can still be natural, healthy and wholesome in your method of discovering it. Trying too hard or getting worried about it distorts the face and body that is the foundation for the beautiful sound. Relax and coax and explore. Don't resort to "plastic surgery"---instead revel in being free, open and discovering hidden beauties in your own sound. All these philosophies are true whether its a question of voice, face or flute sound. We all seek the same ratio of comfort and awe-inspiring beauty. what challenging philosophy about beauty and flute tone. ... I just can tell you that I wait for the video you mention like a little child for next christmas ... and meanwhile I will imagine Wissam Boustany playing "Somehere Over the Rainbow" and try to imitate it with CD accompaniment, Hahahaha! Or: "Honey---just put your lips together and blow..."
Video will be challenging, but of course, I will try and get it to you by the end of this weekend. My flute teacher insisted I got Sonorite and Tone Development right from day 1 (I am returning to playing after a 30 year gap) and she was absoulutely right. As I begin to understand more what she says about how to play properly I also see that your advice is excellent. 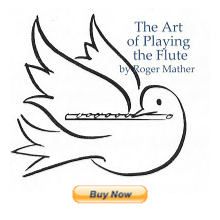 Please keep up this most valuable web-based resource for flautists. Yes, for a serious student who's either an adult or very serious about improvement I too would ask them to get the Moyse "De La Sonorite" and work out of it everyday. "but you have to decide whether it is beautiful or not. And this is a big problem"
So true... I thought I was playing pretty OK but not great recently - recorded it and was depressed because I thought it was rubbish - sent it to a friend and got roundly told off because "you sound wonderful!" :wacko: - makes my head spin! Oh Jen! I'm an adult young pianist teacher (not so old, just 25)who always loved the sound of the flute! The last year i decided just for fun to have flute lessons without knowing where this will end as i know that beggining in my age is kinda impossible to become a proffesional some day. Any way, the first months i was a little bit dissapointed, as i didn't have any experience with the flute, i just thought that it was easy to get a beautiful sound. As long as with the lessons i did and do a research on the internet about flute playing and in the middle of the road i found your website which is amazing!!! I have been doing longtones from the second week i picked up the instrument only in the first register. My second register was just too "airy" with no richness and in my ears a complete disaster... (i don't even dare to mension the high register) So i bought the Sonorite and told my self: "don't get dissapointed, if you "learnt" (knowledge on any instrument never ends) the piano, you can learn the flute". Selfish ha? So after reading the Moyse's instructions, my teacher's instructions, your instructions etc... I started doing Moyse's exercices and now i am in love with tone exercices because they make my sound better and better every day! Some times i am doing the exercices for more that 1 hour (which i feel is not that good, as some times i get fatigued, so i'm thinking of reducing the time that i spend on them). Sometimes i even don't study my repertoire, even this simple 1st exercice in the book seems like music in my ears! It's amazing! The past months you've been an inspiration to me, i have been watching again and again all of your videos and trying to gain everything in my tiny mind. I love the way of your teaching, it's so inspiring and i wish i was that kind of teacher but as a young teacher i'm not most of the times...! Thanx a lot for your website and your passion for music and this shiny both in appearance and sound, instrument!!! How marvellous! What a great letter! Thanks so much for writing! ONward and UPward!! Happy longtones and thanks again---makes my day. Best, J.